Pixaçao in Sao Paulo, April 2015. 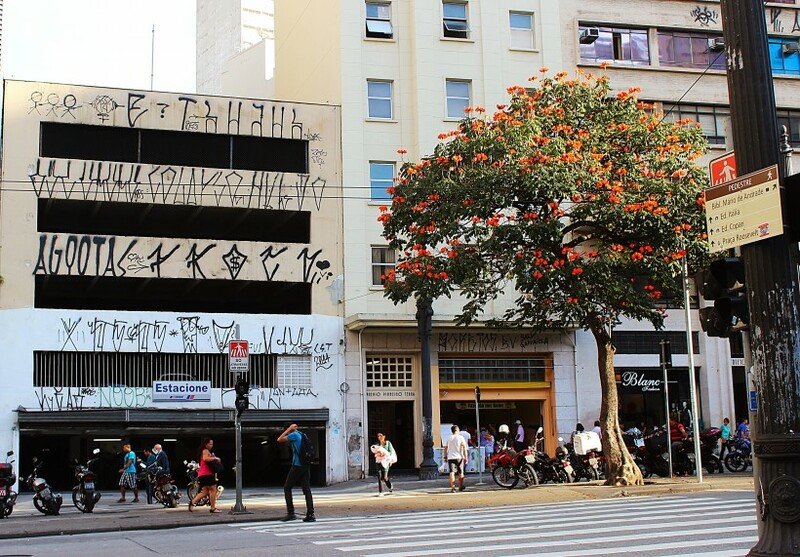 Downtown Sao Paulo, April 2015. The first thing that struck me when I arrived in Sao Paulo was the insane amount of Pixaçao on every surface. In the cab on my way in to the city from the airport, my mind was blown! 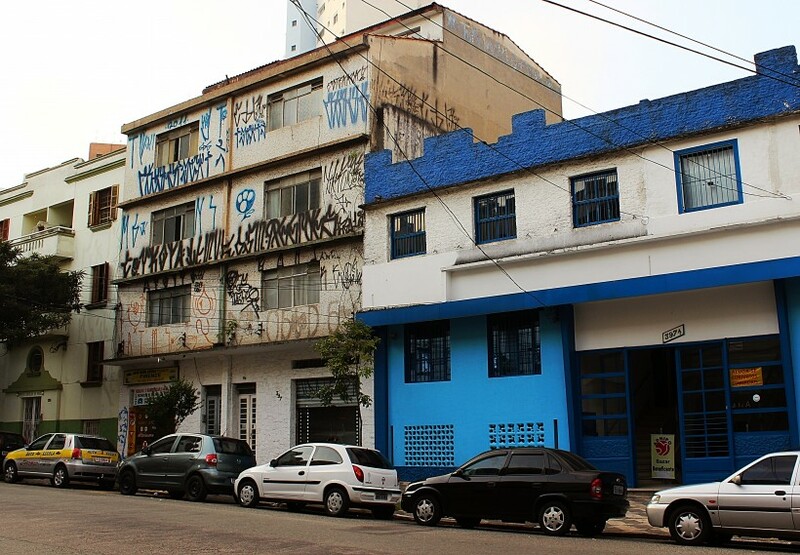 I had heard about it from traveling friends, and seen a lot of photos, but I was not prepared for the reality of Sao Paulo Pixaçao. Plaza Republica, Sao Paulo. April 2015. 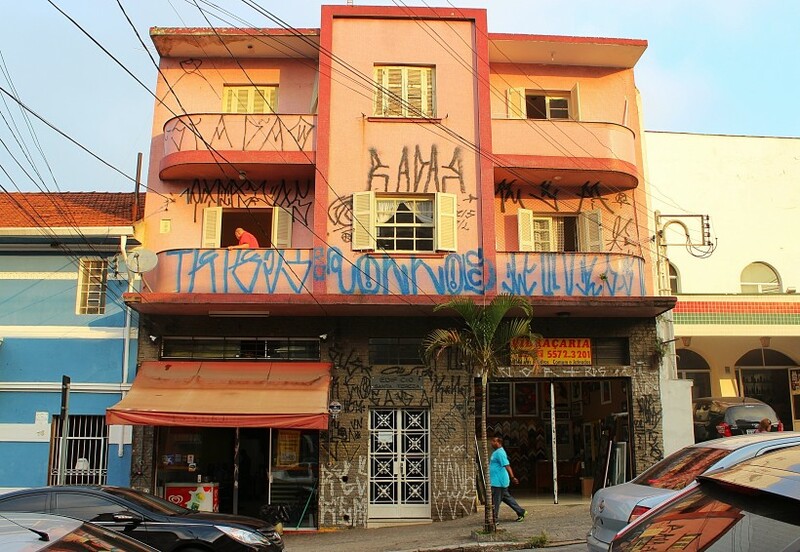 Pixaçao is the portuguese word for graffiti, but it’s not used to describe graff as we know it, it’s a brazilian form of tags but not really tagging at all. Pixaçao is movement, a culture, a form of expression. 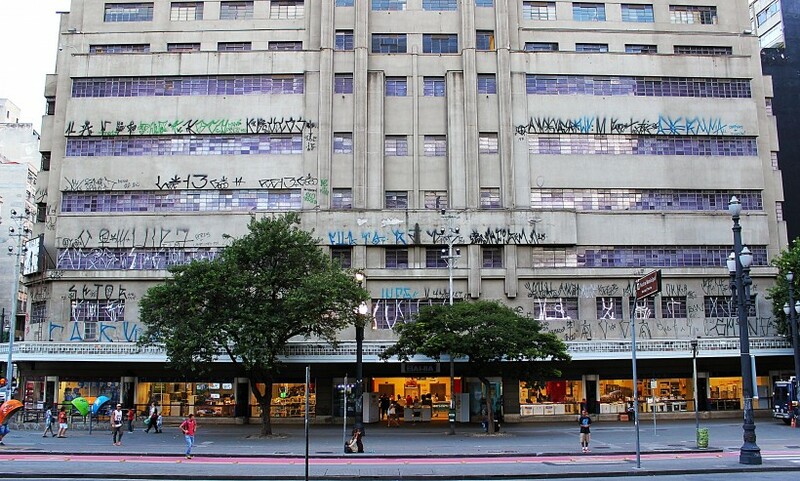 Pixaçao started in Sao Paulo in the early eighties as a way to demand attention by people left out of “regular” society. It is by far the most democratic form of public space take over I have ever come across. The lettering is very specific for the Paulista Pixaçao, taking inspiration from scandinavian runes and old heavy metal band logos like Iron Maiden and Slayer. Nowadays the “pixadores” are mostly famous not for the specific design of the letters but for the placement. Mostly in crazy locations and very high up on buildings, Pixaçao today is about getting noticed and getting recognition in the most dangerous way. Climbing is a given, human stairs common. The pixadores rely on their crew when they risk their lives, and most times they don’t rely on anybody else. 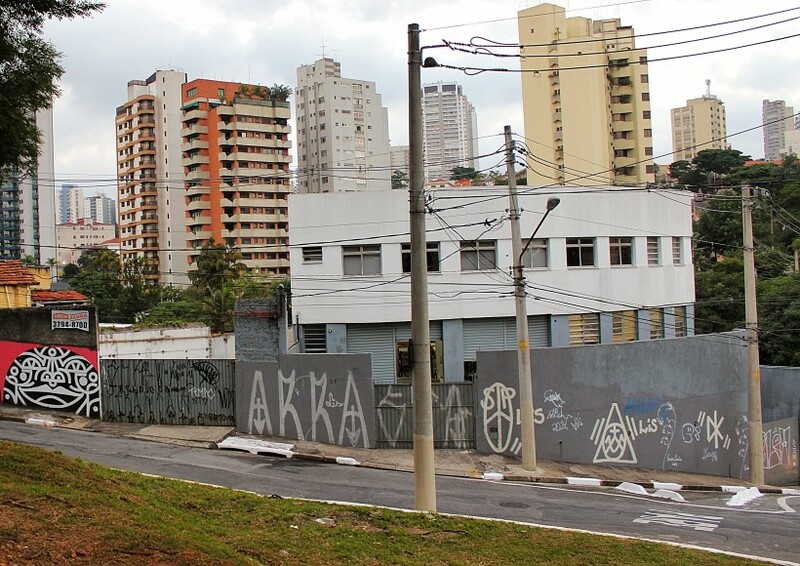 Most pixadores are from the poorest parts of town, they have little to loose in life and this way everyone in Sao Paulo sees them, nobody can hide. The architecture in Sao Paulo, specially Downtown and in the Liberdade area, are mainly tall buildings from the 50’s and 60’s. This makes for excellent climbing surfaces for the pixadores since many buildings have surfaces that stick out along the walls. See the ledges on every floor outside of the buildings? That’s how they climb! 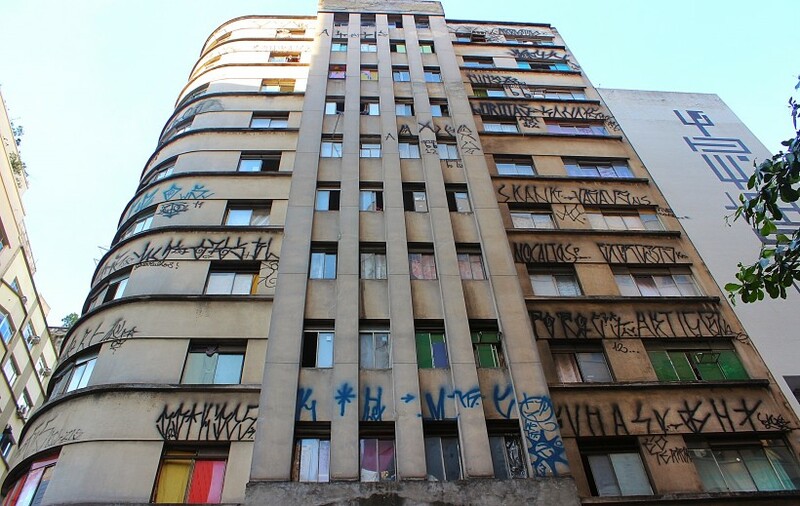 Another way is to break into the buildings and go to the rooftops to do roller Pixaçao, downwards. I also heard stories about pixadores working as pizza delivery guys, after the deliver in a building, they climb from the roof to put up pixaçao. Sao Paulo is a huge city, it’s nearly impossible to be all city here, but one name really popped up everywhere I went, “Lixomania”. He is said to have worked as a motorbike messenger, and put up his name everywhere he went for work! Sustos and Lixomania in Sao Paulo. April 2015. I took me about 2 weeks to start being able to read some of the Pixos, the ones I saw most are “Lixomania”, “Sustos”, “Voice”, “Arrastao”, “Autopsia”, “Katatau”, “Profecia”, “Seven” and “Tent”. Some of these are “grifes” meaning crew names and some are one single pixador. 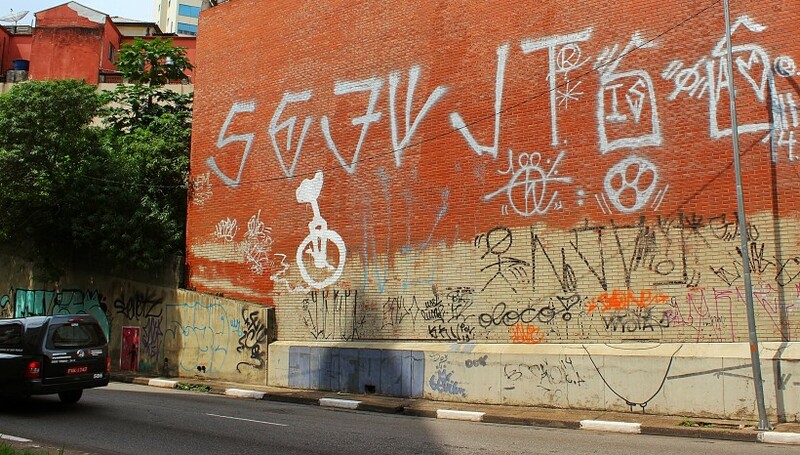 Seven and Tent in Liberdade, SP. April 2015. If you want to know more, I strongly recommend watching the brazilian documentary Pixo, it gives you a little glimpse of the lives of the pixadores. Arrastao in Vila Mariana, SP. April 2015. 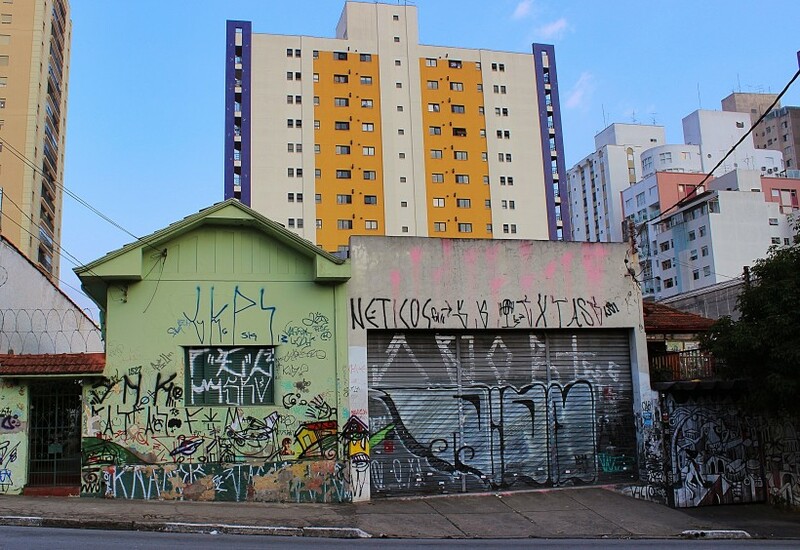 Vila Mariana, SP. April 2015. 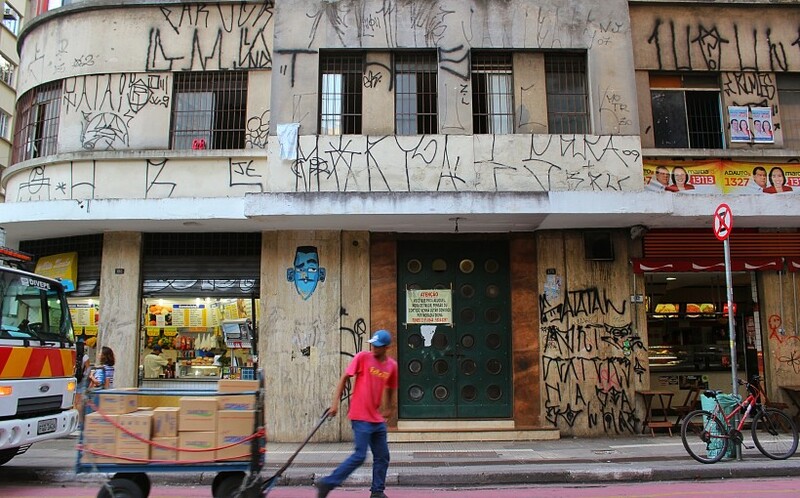 Vila Madalena, SP. April 2015. 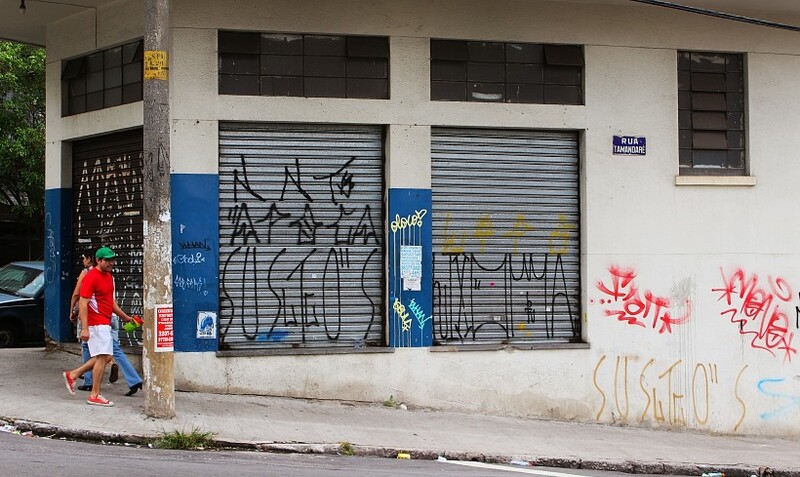 This entry was posted in Sao Paulo. Bookmark the permalink. Great book! Thank you for sharing!